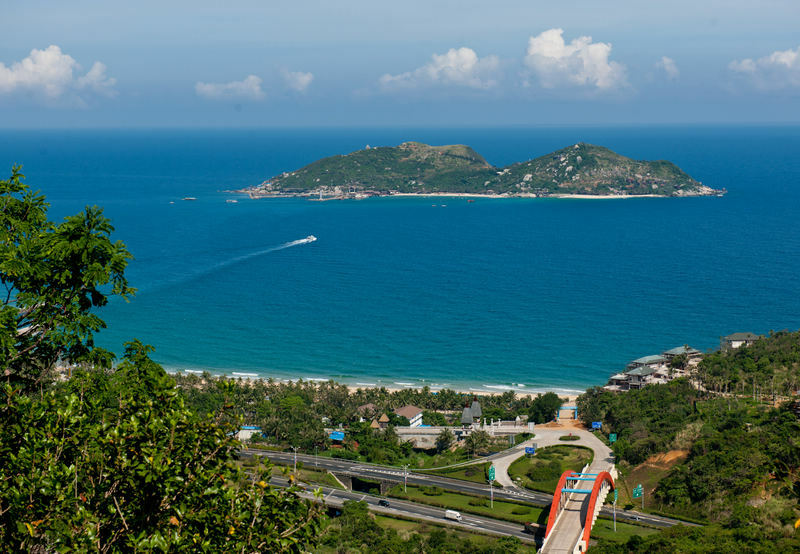 On Feb.2, Boundary Islet was officially awarded the title of national 5A Scenic Spot, making it the 4th national 5A Scenic Spot in Hainan and the first 5A Sea-island Scenic Spot in China. With a total area of 400 hectares, Boundary Islet is located to the Northeast of Lingshui County, which divides two different kinds of climates namely tropical and sub-tropical climates, there are many rare flora and fauna on this small islet. It is 8 sea miles away from Ox Mountain Range on the East Expressway. Only 3 minutes by speedboat to the Boundary Islet. As it is the boundary islet offering two different kinds of climate, it is a very common and interesting phenomenon that you can see downpour in the northern Ox Mountain Range, while it still has radiant sunshine in the south during the summer time. The operator of the islet had invested 180 million yuan to upgrade the travel services and the scenic supporting equipment and infrastructure in the past two years.